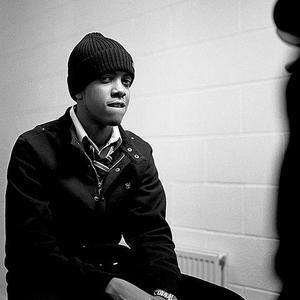 Jahmaal Fyffe (born 26 November 1990), known better by his stage name Chipmunk, is a British hip hop & rnb artist and songwriter from Tottenham, London. He is signed with Columbia Records of Sony Music UK. He won the Best UK Newcomer at the MOBO Awards 2008. He also won Best Hip-Hop Act at the MOBO Awards 2009. He scored a UK Number 1 hit with Oopsy Daisy in 2009. He has also performed with the likes of JLS, performing at a number of their concerts when they were on tour in early 2010. His debut album, I Am Chipmunk, was released on 12 October 2009. It has produced four top 25 singles included three consecutive top-ten hits and one chart topper. The album was deemed a success after it debuted at number 2 on the UK Albums Chart and reaching platinum sales of over 300,000 copies. In-line with its record sales, a new platinum edition of the album was released on May 3, 2010 featuring four new songs, including new single Until You Were Gone featuring Dutch singer-songwriter Esmee Denters. Chip Diddy Chip was released as the first official single from the album on 16 January 2009. The single peaked at number 21 on the UK Singles Chart and marked Chipmunk's breakthrough. Diamond Rings was released as the second official single on 6 July 2009 and featured vocals from upcoming Scottish R&B singer Emeli Sand?. The single peaked at number 6 in the UK; marking Chipmunk's first Top 10 hit. "Oopsy Daisy" was released as the third official single on 4 October 2009 and featured vocals from Dayo Olatunji. The single went on to top the UK Singles Chart, marking Chipmunk's first number-one single, but also his second consecutive Top 10 hit. The Oopsy Daisy Songfacts reported that it reached peak position on October 11, 2009, beating The Saturdays in a two-way battle for the top of the charts. Co-incidentally, one line of "Oopsy Daisy" reads "now I feel like Saturdays are weaker." "Look for Me" featuring vocals from Talay Riley was released as the fourth official single from the album on 28 December 2009. The single marked Chipmunk's third consecutive Top 10 hit when it managed to peak at number 7 in the UK. "Until You Were Gone" served as the fifth official single to be released, but the first and only single to be released from the Platinum Edition reissue of the album. The single featured vocals from Dutch pop/R&B singer Esm?e Denters and was released on 19 April 2010; where it debuted at number 3, marking Chipmunk's fourth consecutive Top 10 hit and his second most successful single behind Oopsy Daisy. His new album, Transition, is scheduled for release in mid 2011.